Share the post "New Procedure Provides Alternative to Hysterectomy for Uterine Fibroids"
Symptomatic uterine fibroids are often cured by a hysterectomy, the removal of a woman’s uterus and the fibroids growing within it. While this may be a treatment option for post menopausal women, there are many women who want effective treatment without loosing their ability to bear children. Uterine Artery Embolization is a procedure that can do just that. With this non-surgical procedure, a small incision is made in the groin area and small plastic particles are injected into the uterine artery. These particles stop the blood supply to the fibroids and subsequently cause them to shrink about 50% – 70% of their original size. 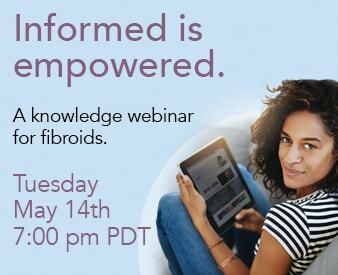 The shrinkage of the tumors allows for a reduction in or complete cessation of the pain, pressure, and chronic bleeding associated with uterine fibroids.